Mike and wife Helen have so far this year had 30kg of honey from the box hive, “liquid sunshine”, but he says the real pleasure in keeping bees is the difference it has made to the fruit on his 900 square metre section, which include nectarines, apples, citrus, macadamia, guava, bananas, persimmons, feijoas, tamarillos and avocado, as well as berries, grapes, passionfruit, vegetables and self-pollinating figs. Having bees has meant a change in the way Mike gardens. Although he bought his first swarm, Mike has since captured wild swarms, saying the insects are “fairly calm” when they’re establishing a new home. “It’s quite incredible the way a colony works,” Mike says. “They all have their own place and their own job. Mike, who says he has rarely been stung, tends his hives year-round but doesn’t collect honey over the winter, leaving it for the bees to use as food. 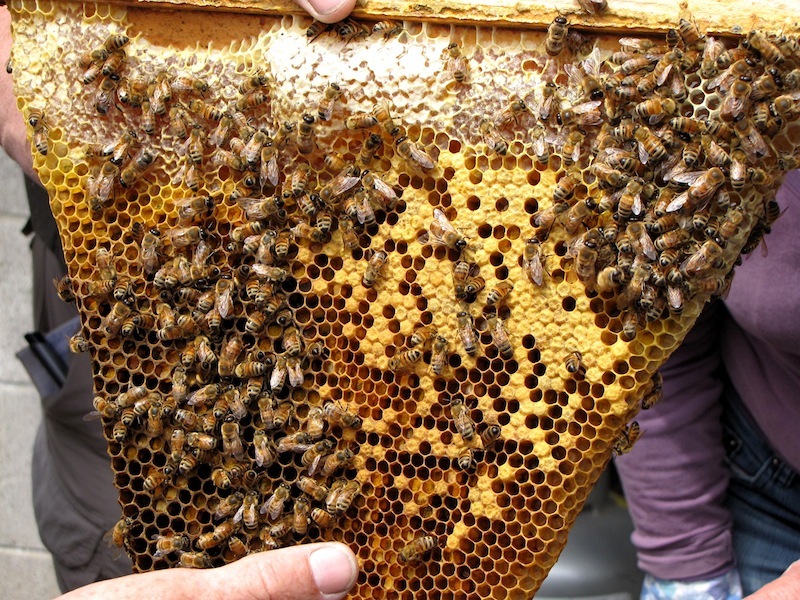 “It’s interesting to go to the hives every couple of weeks and see how my mates are doing. 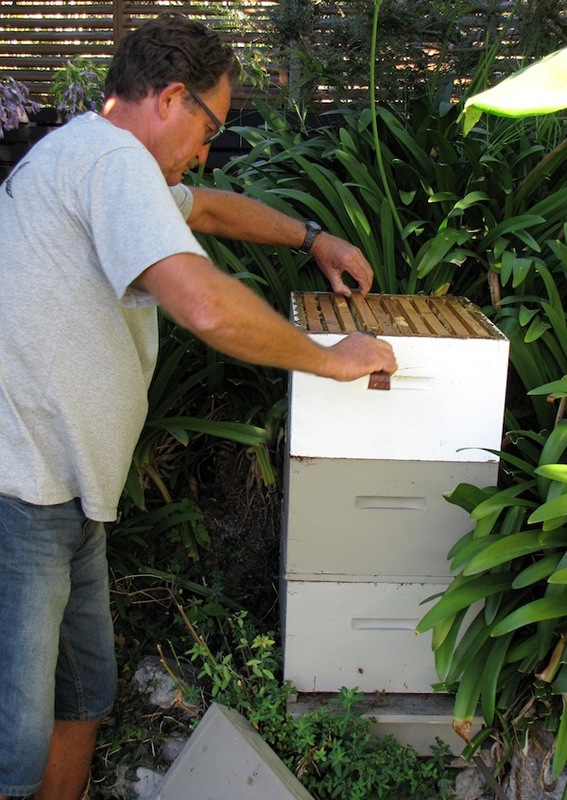 Dennis Crowley, president of the Tauranga branch of the NZ Beekeepers Association, has helped Mike get set up – all hives need to be registered and a registered beekeeper needs to check hive health for hobby beekeepers. Mike recommends Practical Beekeeping in New Zealand by Murray Reid and Andrew Matheson as a useful reference book. It has been in print for 25 years and was last revised in 2011. Sandra Simpson is a long-time journalist who in 2008 was asked to write a weekly garden feature for her local daily newspaper in Tauranga, New Zealand. Since then she’s visited beautiful gardens, met great people and attended several shows. In 2012 she started her own blog, Sandra’s Garden to share more of the people, places and events that make her corner of the world so bountiful. We had a beekeeper come and talk at our garden club a couple of years ago and it was fascinating. If we didn’t have bees we wouldn’t have food. They are very important to our planet. Thanks for your article. 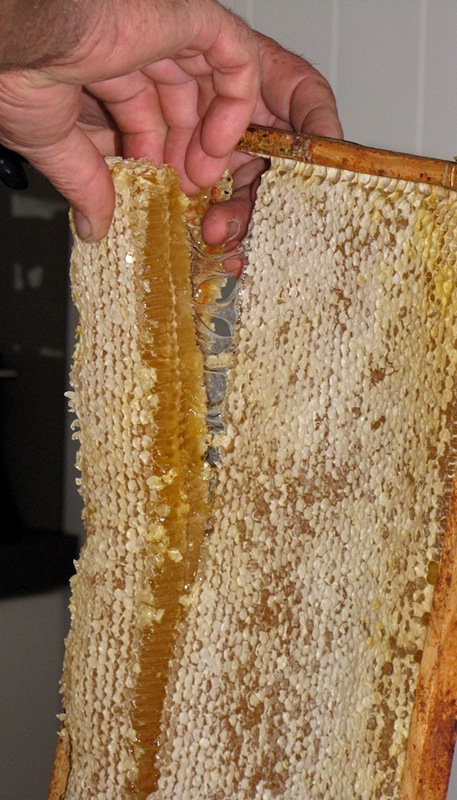 Very interesting – bees have always fascinated me and I love honey, especially NZ honey -YUM! Somehow I don’t think I could keep bees in my courtyard though! Oh I don’t know. Apparently there’s a woman in a 3rd floor apartment in Neutral Bay who has a hive on her balcony. She made honey for TEDx Sydney! See if you can find a DVD of the documentary “Queen of the Sun”. Well worth watching, both for the wake-up call about the threats bees face worldwide, as well as the various ways bees can be kept (look out for the naked beekeeper! ).